ONE of the world’s most unique orchestrasâ€”made up entirely of robotsâ€”plays nightly at the Robot Club in Antwerp, Belgium. Designed and constructed by the club owner, Zenon Specht, the electrically-controlled musicians can play anything from tangoes to bop, changing their expressions to suit the mood. The customer is provided with three songs for a nickel and then the robots sit down. When another nickel is fed to them, the boys get up and swing out three more numbers. Their motion is controlled by perforated tapes looking like player piano rolls. And I thought those guys at Chuck E. Cheese were scary!!! Actually I have one that looks a lot like Chuck E. Cheese. I’ll see if I can find it, it was quite scary. 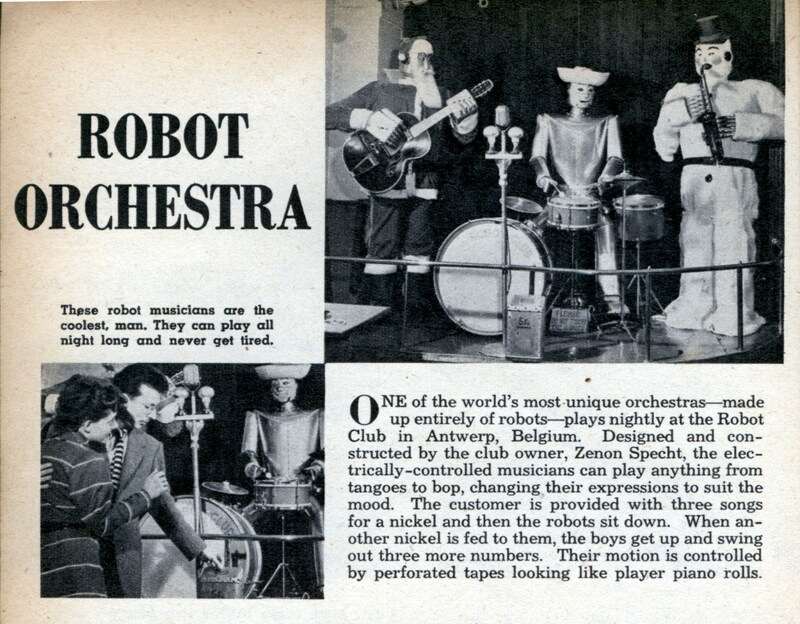 Hello, from about the same time, but in France, “Les Robots-Music” were devised in the 1950’s by engineer R. M. Diomgar and a group of ex-prisoners of war, they toured French fairs in support of their association from the 50’s to the 80’s, and thus have fascinated a whole generation of French. There were four lps by Les Robots-Music released in the 1970s. I was in the British Merchant Navy in the 1950s to the early 1960s, and when I was in Antwerp we found the “Robot Bar”. At the time there was a juke box in the bar as well, but the robots took precedence when requested! I was told that the robots were pre-war and made in Germany. 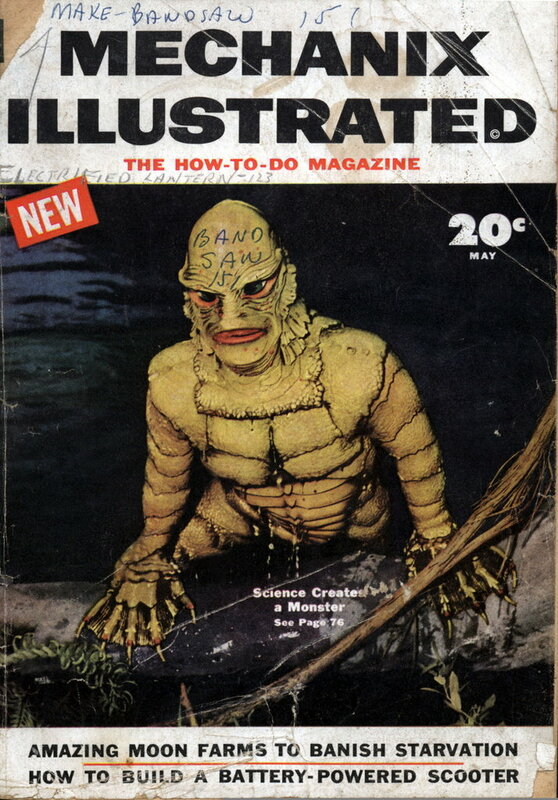 Was I misinformed and are the current robots the ones that I remember from 50 years ago? I do have dozes of pictures of my grandfather with his robots and I can assure you he made them (all 9 of them) all by himself. I’m planning a website very soon, as a tribute to this amazing person, which passed away to soon. Any extra info or thought are always welcome !